Craig L. Israelsen, Ph.D., is an Executive-in-Residence in the Financial Planning Program at Utah Valley University (UVU) in Orem, Utah. He holds a Ph.D. in Family Resource Management from Brigham Young University (BYU). He received a B.S. in Agribusiness and a M.S. in Agricultural Economics from Utah State University. Prior to teaching at UVU he taught at BYU and University of Missouri-Columbia. Primarily among his research interests is the analysis of mutual funds and the design of investment portfolios. He writes monthly for Financial Planning magazine and is a regular contributor to the Journal of Indexes and Horsesmouth.com. His research has also been published in the Journal of Financial Planning, Journal of Asset Management (U.K.), Journal of Performance Measurement, Asia Financial Planning Journal (Singapore), Journal of Family and Economic Issues, and Financial Counseling and Planning. His research has been cited in the Christian Science Monitor, Wall Street Journal, Newsweek, Forbes, Smart Money Magazine, Kiplinger Retirement Report, Advisor Perspectives, Dow Jones Market Watch, Family Circle Magazine, and Bottom Line Personal. Dr. Israelsen is the developer of the 7Twelve Portfolio and the author of three books. His most recent book is titled 7Twelve: A Diversified Investment Portfolio with a Plan (John Wiley & Sons, 2010). He is married to Tamara Trimble. They have seven children: Sara, Andrew, Heidi, Mark, Nathan, Emma, and Jared. Hobbies include running, biking, swimming, woodworking, and family vacations. He has competed in the Boston Marathon five times but has never won. The mention of products by name in this document (mutual funds, exchange traded funds, exchange traded notes) does not represent an endorsement or guarantee of future performance. Determining investment suitability of individual products, portfolio design, and asset allocation is the sole responsibility of each investor and his/her financial advisor. Craig L. Israelsen is not an investment advisor. He is a researcher, author, and consultant. Learn the basic structure of a 401(k) and why it may not be enough to sustain you during retirement. With the shift away from pensions, workers are becoming more responsible for their own retirement needs. Unfortunately, many are falling short. Retirement experts often tout the 10% rule: To have a good retirement, you must save 10% of your income. The truth is, most people need to save far more. One American in three hasn't saved anything for retirement, let alone $50K. Here are a dozen things that you can do to help shore up your finances. Generating income without going to work can be a murky concept. Find out how it works. Should I use additional income to pay off debt or invest it for retirement? The main idea here is that you do NOT want to lose time for your investments to grow. On the other hand, paying off debt is a great idea. Being debt free is truly liberating. You have two good paths to go down. I would suggest you take both paths at the same time. It's important to invest as much as possible now so that you maximize the power of compounding by giving your investments more time to grow. Perhaps you might calculate the needed monthly payment to pay off the home loan in, say, 12-15 years so that by the age of 50 you are largely, if not totally, debt free. The remainder of the money not needed to pay on the home loan would be invested each year into a diversified portfolio of 10-12 mutual funds that cover a wide variety of asset classes--including US stock, non-US stock, real estate, commodities, US bonds, non-US bonds, etc. When is it safe to transition my investments from equities to bonds? Why would you want to? A diversified portfolio lasts for a lifetime. There is no reason to choose bonds over stocks or stocks over bonds. Build and maintain a diversified portfolio for your entire life. 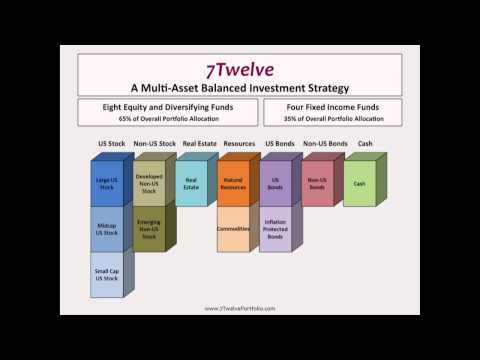 A diversified portfolio will consist of 10-12 different mutual funds that cover a wide variety of asset classes...such as large cap US stock, mid cap US stock, small cap US stock, non-US stock, real estate, commodities, US bonds, US TIPS, non-US bonds, etc. Think of the stock mutual funds, the real estate mutual fund, and the commodities mutual fund as the "engines" of a portfolio and the bond mutual funds (and cash) as the "brakes". You may choose to weight the "brakes" more heavily later in life, but you always want some "engines" in your portfolio. What are advisors using as a benchmark for life expectancy in planning? In my research and articles I use 25-year and 35-year retirement periods. I have several articles that analyze retirement portfolio survival over rolling 25-year and 35-year periods. Email me at craig@7TwelvePortfolio.com and I'll send you the articles. What percentage of my portfolio should comprise of Inverse ETFs? Consider that since 1926 US stock (as measured by the S&P 500 Index) has generated positive annual returns 73% of the time. Small US stock has produced positive annual returns 68% of the time. So, right away it's clear that an inverse US equity fund is going to have a negative return in a majority of years if you hold it for a reasonable length of time. One of the largest publicly available inverse funds is ProShares Short S&P 500 (SH). As of April 30, 2017 it had a 3-year average return of -11.3%, a 5-year average return of -13.8%, and 10-year average annualized return of -10.2%. Not very encouraging numbers. Since 2007 it has only had two positive annual returns. Its +38.8% return in 2008 is really its only claim to fame. Since then, ugly. Rather than using inverse funds in your portfolio diversify it more broadly using real estate funds, commodities funds, international bond funds, and emerging markets funds. If you do use an inverse fund, I would suggest that it not represent more than 8% of your portfolio allocation.